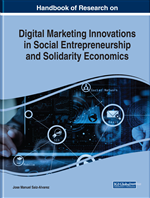 This chapter deals with how the socioeconomics of solidarity inserted in the Industry 4.0 can bring about solidarity and the creation of social and economic wealth based on the guiding principles of subsidiarity, the search for the common good, and solidarity based on social justice. After having grounded these principles, the author develops different solidarity-based public policies, mainly focused on the European Union, by including principles, objectives, and stages of the European ODA (Official Development Aid), the European Development Fund, the Common Framework for Joint Multiannual Programming and Efficiency, and the European Consensus on Development “Our World, Our Dignity, Our Future.” Some ideas complement this analysis linked to the socioeconomics of solidarity that focuses on solidarity and justice to search for a more balanced business world defined by social welfare and economic wealth. Today, the business world is characterized by a strong “glocalization” (think globally, act locally), with a business policy development based on outsourcing. A business strategy complemented with the launching of public Official Development Assistance (ODA) and economic policy recipes to achieve higher levels of economic and social welfare. In this process, the Information and Communication Technologies (ICTs) have a key role in converting the world into a global village (McLuhan, 1964). Following Rifkin (2011), we are now facing the Fourth Industrial Revolution, after the Third Industrial Revolution, also called the Revolution of Intelligence or Knowledge Economy2 (Marginean, 2009). A Fourth Industrial Revolution defined by the transmission of real-time information based on the Internet for a “smartization” of manufacturing industries (Diez-Olivan et al, 2019) to increase the quality of manufactured goods and services to satisfy customers by using natural and technical resources more rationally, and by conducting secondary processing of all waste, resources, or energy (Digilina, Teslenko, & Abdullaev, 2019). Faced with the undeniable benefits associated with the Internet, most notably (a) real-time communication independently of the type of transmission used; (b) higher levels of productivity; (c) more efficient academic work; (d) networks rooted on personal and professional contacts; (e) less operating and supply costs; (f) further expansion of clients by opening new markets, and (g) the possibility of collaborative consumption, the combination of these advantages lead to a global social re-humanization. As the world is immersed in a global village, economic crises have a deeper impact, as has happened in the First Global Crisis, beginning on 15 September 2008 after the Lehman Brothers’3 bankruptcy. Given the negative effects arisen from this crisis, it is necessary to reintroduce values and guiding principles defining subsidiarity, solidarity and the common good, as well as a strengthening the ODA mechanisms to diminish the negative effects caused by unemployment of senior workers unable to be adapted to the Industry 4.0 (Stojanova, Lietavcova, & Raguž, 2019). The Socioeconomics of Solidarity has emerged in Latin America and Spain to diminish the strong economic imbalances concerning unfair income and welfare distribution around the planet. Fostering social entrepreneurship and welfare generates positive externalities (Leadbeater, 1997; Dees, 2001; Drayton, 2002), Braunerhjelm & Stuart, 2012), to combat poverty by implementing business strategies to maximize profit, such as applying Corporate Social Responsibility and the Triple Bottom Line. Any initiative based on economic issues has a social impact (Certo & Miller, 2008; Mair & Schoen, 2007), whose intensity varies according to business and social characteristics in the country, being particularly important in the case of social entrepreneurship. After having analyzed the entrepreneurial activity in 49 countries, Lepoutre et al. (2011) show that entrepreneurship-based countries are mostly defined by social firms focused on creating economic welfare with social value while stimulating social change by offering goods and services to meet consumer needs and create value to stakeholders. The global fight against poverty would be based on the Ashoka’s ‘hybrid value chain,’ and the ‘holistic approach to development’ conceived by Bangladesh Rural Advancement Committee (BRAC). At this respect, Kim (2014) propose a global social entrepreneurship model both to fight poverty and to highlight how entrepreneurial efforts can create opportunities for launching ventures to satisfy social needs while balancing economic and social imperatives on a global scale. Social entrepreneurship can be impulsed through solidarity focused on social needs. Good business practices are defined by implementing social entrepreneurship seeking to “catalyze social change and social needs” (Mair & Marti, 2006, p. 37) and “social value through the implementation of new business opportunities” (Weerawardena & Mort, 2006, p. 25). This social value is translated into a higher quality of life for society, as well as a growing sense of self-worth and self-assessment individual sentiments. Official Development Aid (ODA): It is the total amount of economic aid donated by the European Union to the economically weakest countries in the world. Principle of Subsidiarity: Defined in Article 5 of the Treaty on the European Union, it ensures efficiency and effectiveness in decision taking as decisions are taken as close to citizens. Millennium Development Goals (MDGs): Formed by eight goals for 2015, it is a global strategy driven by the United Nations to eradicate extreme poverty and hunger, achieve universal primary education, promote gender equality and empower women, reduce child mortality, improve maternal health, combat HIV/AIDS, malaria and other diseases, ensure environmental sustainability, and develop a global partnership for development. Socioeconomics of Solidarity: It is a kind of economy based on Christian-based (charity and fraternal love) and human-based (solidarity, not fraudulent or corrupt behavior, cooperation, and mutual assistance) values, focused on producing sustainable goods and services benefitting people. ACP Countries: They are made up of African, Caribbean, and Pacific countries receiving Official Development Aid from the European Union. Social Market Economy: It is a form of market capitalism by combining social policy and coordinated market economy. This type of capitalism was used in Germany after World War II, and it was responsible for the Austrian and German economic miracles. Common Good: It is a natural law that leads to the creation of a commonwealth that must be shared to achieve happiness and, in the case of believers, their holiness.